This book is the first compendium to manual lymphatic techniques for the orthopedic population. It addresses the application of various lymphatic techniques to many orthopedic ailments and sports injuries such as bursitis, tendonitis, low back pain, shoulder pain, knee pain, as well as post operative knees and shoulders by applying various lymphatic techniques. It introduces the practitioner to the importance manual lymphatic techniques have for stimulating the lymphatic system. This stimulation restores bodily functions by decreasing edema and pain. The author takes the practitioner through basic anatomy and physiology of the lymphatic system, and progresses into more in-depth studies of this amazing biological system. The book culminates with treatment suggestions that can be implemented into an established practice and experienced manual therapist protocols. Practitioners will gain a new perspective of manual therapy for their orthopedic patient population. Manual Lymphatic Techniques for the Orthopedic Manual Therapist is designed for the manual therapist with moderate knowledge of musculoskeletal anatomy and orthopedic pathophysiology. Overview of basic anatomy and physiology of the lymphatic system. Overview of regional lymphatics related to the periosteum, synovial joints, muscle, tendon, and nerves. Overview of manual techniques applied to the lymphatic system that can be applied for most common orthopedic ailments and sports injuries, such as low back pain, adhesive capsulitis, knee arthroplasty, etc. In depth investigation of the applications of manual lymphatic techniques for edema and orthopedics. Overview of auxiliary modalities to enhance treatment outcomes. Special sections called clinical implications and tables that provide the practitioner with valuable information that will stimulate conceptual thoughts and help formulate treatment ideas. Case studies that provide a conceptual model for integrating manual lymphatic techniques into existing protocols or practice standards of the manual therapist. Vivid illustrations and photographs that engage the scholar and enhance their understanding. David A. Doubblestein, PT, MS, LLCC, CLT, Cert. MDT is a graduate of Grand Valley State University and obtained his physical therapy licensure in the State of Michigan in 1997. His career began at Gerber Memorial Hospital in the rural setting of Newaygo County, Michigan in outpatient orthopedics. In 2005, David ventured into entrepreneurship by starting his own outpatient physical therapy clinic, Living Hope Physical Therapy. David has studied many orthopedic manual modalities since obtaining his professional degree and licensure including myofascial release, positional release therapy, muscle energy techniques, craniosacral therapy, and various concepts and approaches to joint mobilizations of the spine, pelvis, and extremities. While working at Gerber Memorial Hospital, the need for a lymphedema therapist became apparent to David and he initially pursued his training through the Upledger Institute International studying the Chikly method of complete decongestive therapy. He developed a lymphedema treatment program for the hospital after accomplishing his LLCC certification. 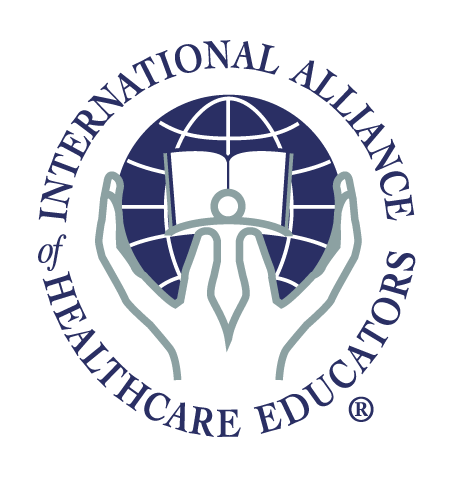 David began teaching for the International Alliance of Healthcare Educators and the Chikly Institute in 2005, and taught various Lymph Drainage Therapy courses internationally. During this time he authored a case study of the effects of Lymph Drainage Therapy on idiopathic Bell’s Palsy, which was published in the Advance for Physical Therapists. In 2013, David pursued further studies in complete decongestive therapy through the Academy of Lymphatic Studies and successfully completed the CLT certification. David is also a credentialed MDT practitioner since 2014, after completion of his studies in McKenzie Diagnosis and Therapy. "Congratulations on this valuable resource for Orthopedic Therapists. The precise description of the anatomy and physiology of the lymphatic system, and its involvement in regard to orthopedic dysfunctions, clearly outlines the benefits of manual lymphatic therapy as an additional therapeutic tool for neuromusculoskeletal disorders." "This text is a “Game Changer.” It brings knowledge and clinical application of lymphatic function into manual orthopedic treatment as a “must.” This text will become a classic reference." "The invaluable information (and illustrations) in this beautifully realized text offer clear guidelines for achieving enhanced lymphatic function – an often neglected feature that lies at the heart of rehabilitation and healing. Congratulations to the author and publishers." "David has blended many years of personal practice and study into this handsome, research-based text. This is much more than a reference manual. It is a practical tool for manual therapists interested in a better understanding of the subtle and interconnected nature of the lymphatic, myofascial, articular, and neural systems." "A great contribution to the field of manual therapies. I am convinced that the rich interplay between lymphatics, fascial dynamics, and immune function will become a hot topic in future decades. With its excellent synopsis of both American, as well as European lymphatic manipulation theories and techniques, this book prepares the ground in an ideal manner." "I appreciate this book, MLT for the Orthopedic Manual Therapist, by David Doubblestein. It will be a valuable resource for lymphatic therapists." "In Manual Lymphatic Techniques for the Orthopedic Manual Therapist, David Doubblestein has created a thorough compilation of the history of manual lymphatic therapy, pertinent anatomy, and comparison of key approaches to lymphatic drainage. Excellent illustrations accompany the text, and key notes help therapists and clients alike to understand the importance and effects of lymphatic drainage on the path to wellness. This is a valuable reference for all manual therapists who incorporate focused lymphatic work in their practice." "I had the privilege of reading this well-written, highly referenced text by David Doubblestein that thoroughly addresses the connection of the lymphatic system to neuromusculoskeletal structures. In eloquent detail, David explores lymphatic manual therapy – the research, theoretical concepts, and hands-on skills – as an integral part of the assessment and treatment of pain conditions in the body. This text is a welcomed addition to the library of manual therapists." This course teaches you how to perform a local body evaluation (ARTS), and treat excess body fluid or swelling in the lower abdomen (viscera), lumbar spine, pelvis, sacrum, and lower extremities (hip, knee, ankle and foot).